Nearly 100 years in bloom ! Fifty acres of beautifully landscaped floral beds capture your attention as you wander along the meandering paths through Butchart Gardens near Victoria, British Columbia. The Canadians certainly created a masterpiece here on Vancouver Island. Robert and Jennie Butchart, pioneers in the manufacture of Portland Cement, came to Vancouver Island in 1904 because of rich limestone deposits needed for cement production. A few years later, the limestone quarry was exhausted so Mrs. Butchart pictured it replaced with a beautiful garden. Being transported by horse and cart, tons of top soil were placed on the floor of the quarry. Little by little the floor blossomed into the spectacular Sunken Garden, which is one of the exquisite spots at Butchart Gardens. While Mrs. Butchard enjoyed planning her garden, Mr. Butchard collected ornamental birds from all over the world. A parrot lived in their house, peacocks strutted across the front lawn, and birdhouses were placed strategically throughout the garden. Totem poles carved by artists of the Tsartlip and Tsawout First Nations are a recent addition to the gardens. Totems are very symbolic and designed to tell a story, quite often starting at the bottom. 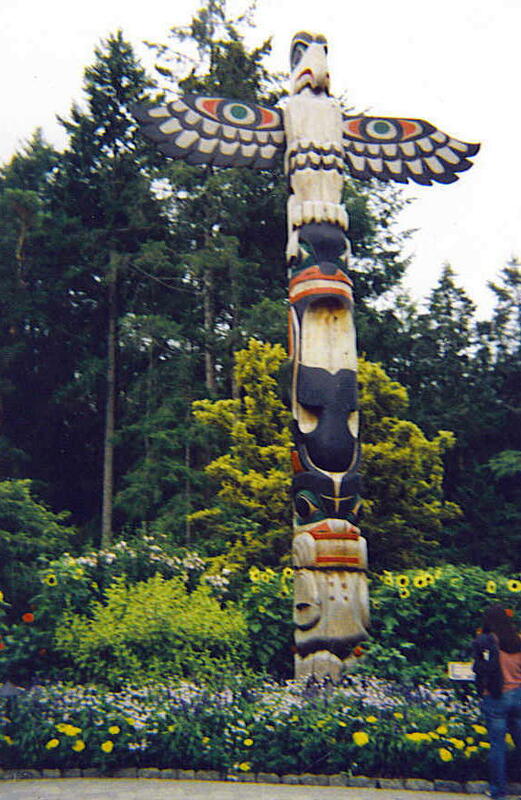 This particular totem tells a story about Butchart Gardens. The bottom figure represents all the people who come to the gardens. In the center is carved a whale, symbolizing the fact that people traveled from afar to arrive here. On top is the mystical, yet powerful, thunderbird, which watches over the gardens and protects it with his outstretched wings. In 1939, the Butcharts gave the gardens to their grandson, Ian Ross for quite the spectacular 21st birthday present. Ross Fountain was installed on the 60th Anniversary of the gardens. The Ross Pond with fountain looks great at any season, or any time of the day or night. Today the gardens are still family owned with great-granddaughter, Robin-Lee Clarke, being the present owner/manager. Through a floral covered archway, visitors find themselves in the relaxing Italian Garden, which includes a dining area where you can sit outside or enjoy the view of the beautifully landscaped pond from inside. 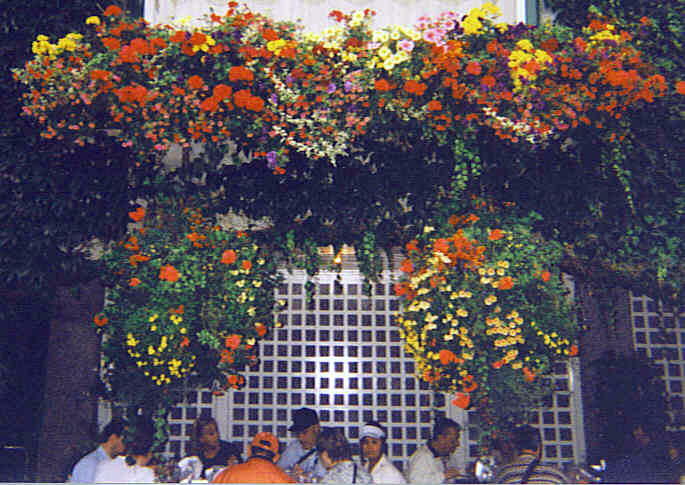 Afternoon tea outside under the beautiful hanging baskets, and plants cascading from window boxes, is a scrumptious experience. 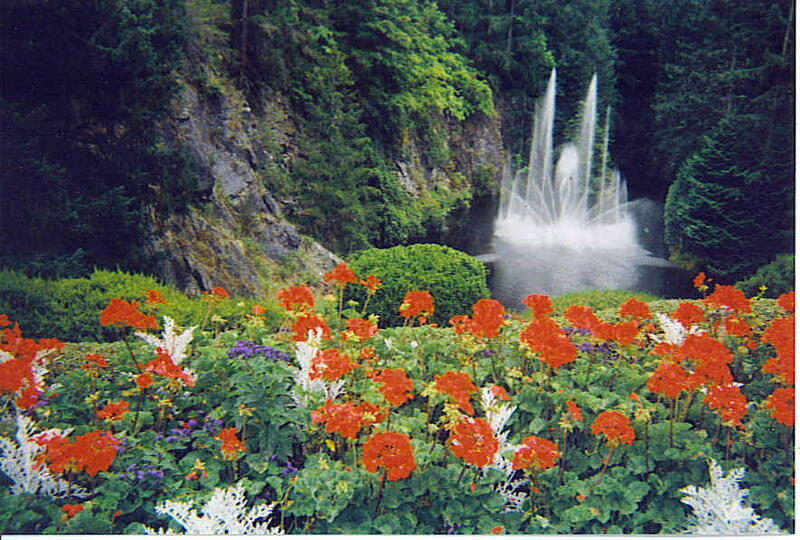 Butchart Gardens is delightful every season of the year, which seems quite surprising for Canada. But the gardens are located on the coast so their weather is a little milder than what we might imagine Canada to experience. Beautiful Night Illumination occurs each evening, when the garden looks magical with the flickering lights. Saturday Fireworks draws such large crowds, people sometimes wait in line for hours to get inside the gates. Every year millions visit these gardens at all seasons of the year in one of the loveliest corners of the world. Maybe you will get a chance sometime soon to visit there too. 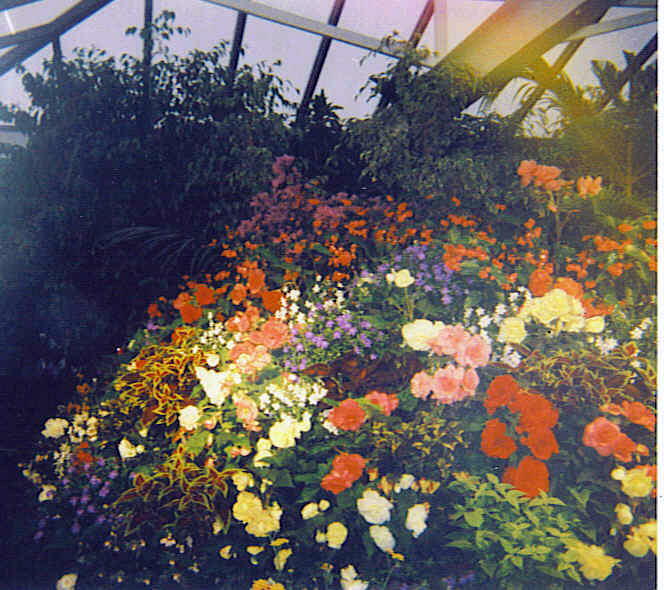 During my last visit in the summer when glorious blossoms were at their peak, they even offered me a job in their greenhouse or gift shop. See you there? 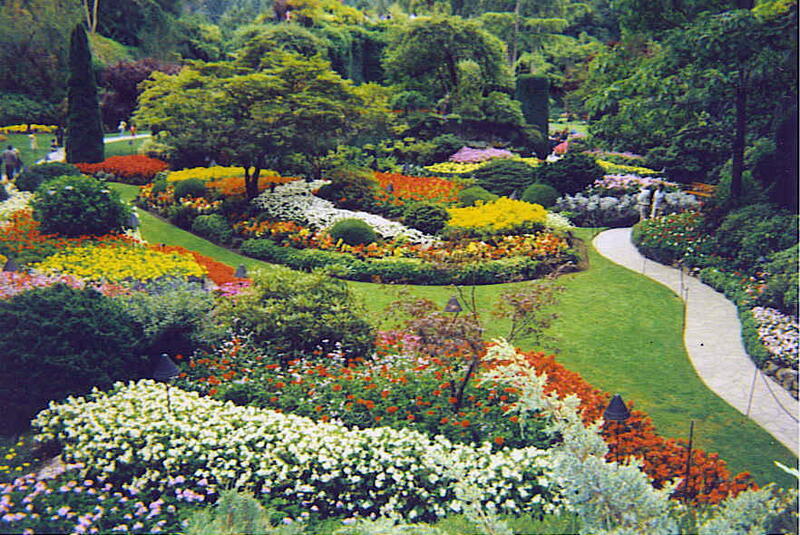 Butchart Gardens can easily be reached from every direction on Vancouver Island. Start out on Route 17, then turn west on Keating X Road, which becomes Benvenuto Avenue and leads directly to the gardens. Cruise ships frequently stop at Vancouver Island and offer transportation to the gardens as well. You did an excellent description of Butchart Gardens. This is one of the most beautiful flower gardens I have ever experienced, Flowers are one of my passions and this is a place I could enjoy working day after day. Maybe I’ll move to Canada! Beautiful country. I had 2 great-aunts move from the British West Indies to England and finally settled in Vancouver. While I have many interests, the beauty of a flower garden always soothes the soul.Even in the midst of chaos, we can find beauty.